Enter for your chance to win a Celebrity Cruise Prize Package! Includes a trip for two on a Celebrity Cruise and a travel stipend from Fine Cooking magazine. Enjoy traveling the Caribbean with Celebrity Cruises. Congratulations to the winner of the 2017-2018 sweepstakes, Laura Bergstrom of Catonsville, MD. Please enter our 2018-2019 sweepstakes below. Select Country to see State/Province options. Yes! I would like to receive additional product information from Celebrity Cruises. Yes! 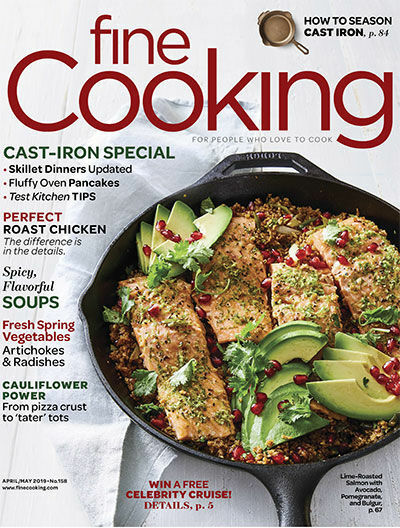 Please send me emails and special offers from Fine Cooking Magazine. NO PURCHASE OR PAYMENT IS NECESSARY TO ENTER OR WIN. A PURCHASE OR PAYMENT OF ANY KIND WILL NOT INCREASE YOUR CHANCES OF WINNING. Sweepstakes begins on August 3, 2018 at 12:01 a.m. Eastern Time and ends July 15, 2019 at 11:59 p.m. Open to legal residents of the 50 U.S. & D.C. and Canada (excluding Quebec), 18 and older. Visit for complete Official Rules. Check back on or about July 20, 2019 to find out who the winner is.